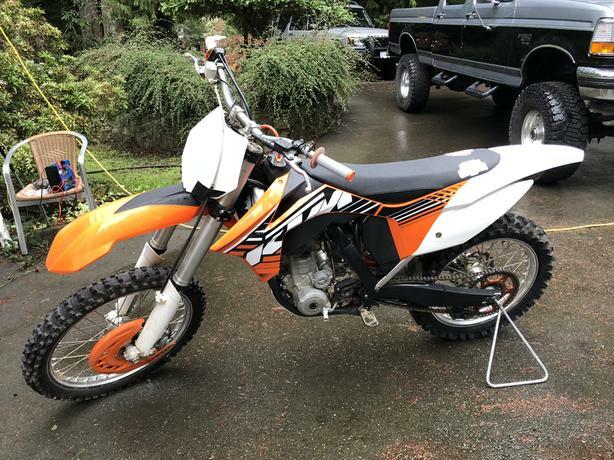 2012 sx-f KTM 250 4 stroke. Well cared for and always maintained. Bike is mint. Brand new back tire. Brand new grips, etc. Have all documents since purchase. Comes with extra parts and all new plastics. Just don't use it anymore.